This post is specially dedicated to Ben, @BenVoda . The reason is because Pxd suddenly mentioned to Ben regarding his twitter having those automatic horoscope updates. "Oh, that ah, that was last time I accepted this application then they keep auto update." He also said that he don't know how to remove it! I think it's due to us getting used to only tweet on our mobile devices and the devices are not able to perform this task of removing applications, or some of us calls it bot. The point is, somehow we don't want our timeline to be flooded by that also! Haha. 1 very good example is Lervon, @Lervonn. 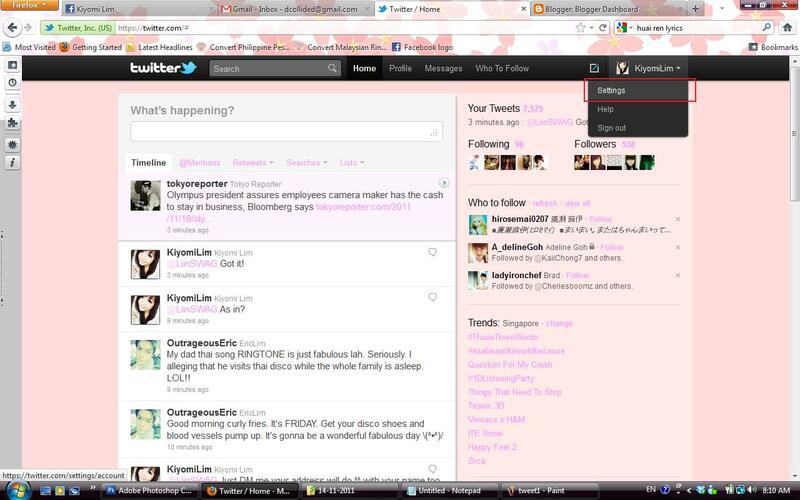 He said that he though Ben tweeted it intentionally and he even went to click on the link in that tweet. Lagi worst is that he even went to look for his own horoscope to see the readings!!! Super funny & cute isn't it?!! What if the link is to have viruses in the future! No way! We have to prevent that by blocking unknown sources from our twitter! 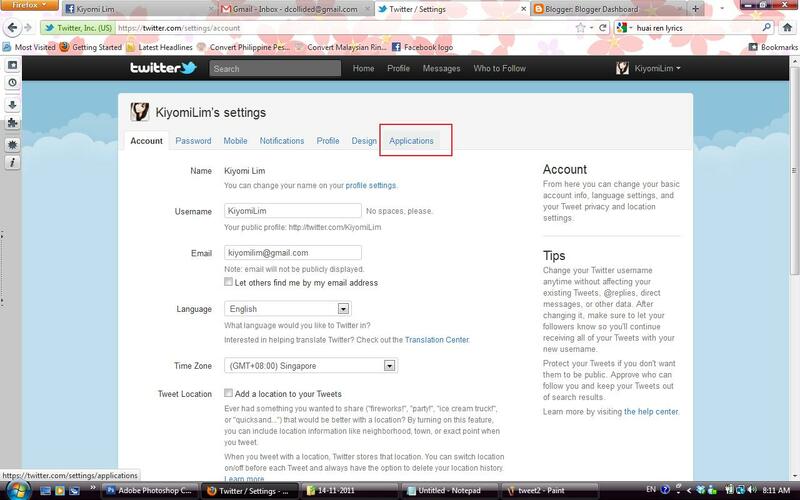 So here goes on how to remove/block an application in your twitter account. 1st, click on the top right hand corner & select settings. 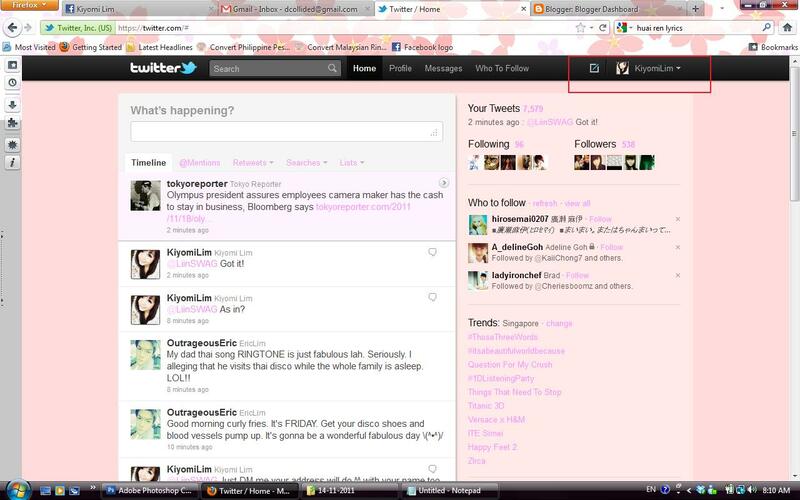 2nd, click on the applications on the most right tab. 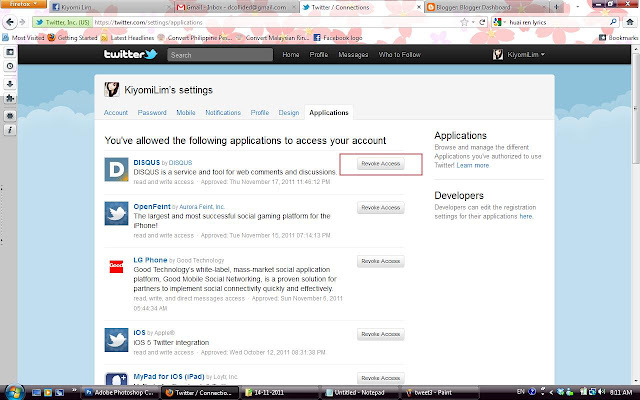 3rd, click revoke access for those applications you wish to block. Don't make yourself a victim of bot/spams!